Welcome to The Sisterhood Podcast! What do you get when you put together a sushi loving Iowa farm girl and a goat raising London city girl who graduated from rival universities? 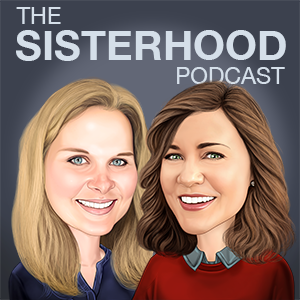 The Sisterhood Podcast! Firm believers that women rise when they lift each other, Allyson Reynolds and Tiffany Sowby hope to bring women together in faith and community through their weekly podcast conversations and monthly “Service & Sweets” events. Interested in current events that affect women? We’ll talk about it. Need a conversation that helps you feel like you’re not totally failing at this life balance thing? Yeah. Us, too. Want more meaningful connection and contribution in your life? Join us at our events! If it enlightens or empowers women to be their best selves, rest assured we’ll be talking (and doing) something about it. Because we’re sisters and we’re all in this together.